When you first open the Facebook Adverts Manager or talk to a digital agency about your business's marketing needs, you'll hear terms such as CPA, CPL, CPM and many other marketing terms thrown about. But what do they all mean, and which ones do you really need to know? 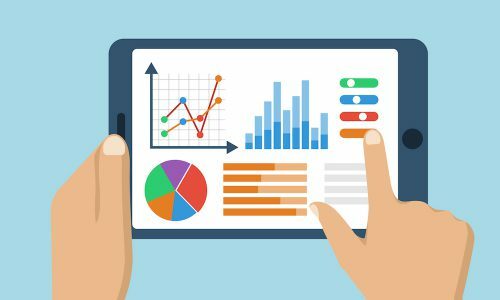 In this article, I've listed the most important online marketing statistics you'll need to learn when talking to digital agencies, or managing your own marketing campaigns. Cost per action, also known as cost per acquisition or cost per conversion (CPC) is the amount you pay each time a specific action has taken place as the result of an online advert. An action can be a sale, lead generation (cost per lead CPL), click, opt-in or any other event that can take place on a website. How is CPA used in marketing? Well let's say you're running an online marketing campaign to generate product sales. In this instance the CPA will measure how much you spend in marketing before a sale action is triggered. The item you're selling costs $75 and the CPA of your ad is $30, this means you're making a $40 profit per action. This quickly enables you to see if your online marketing campaign is profitable or not. Best for: sales and lead generation objectives. Cost per mille, also known as cost per thousand is the amount you pay for 1,000 impressions of an advert. For example, if your CPM is $50, you're paying $0.05 each time your advert is viewed. Keep in mind that 1,000 impressions does not equal 1,000 unique views. If one person views your advert 5 times in a single day, this will be counted as 5 impressions. Best for: brand awareness objectives. Best for: ensuring you're not over delivering ads or wasting ad spend. It would make sense to pull back on Twitter and reinvest the money into Google and Facebook, as they yield a much lower CAC providing a better ROI on your money. Not every online platform will be a success for your business, learning your CAC lets you scale the best performers, and cut your losses on underperformers. Best for: optimising online marketing campaigns. Lead value is the amount a lead is worth to your business. This is worked out by combing the total number of leads generated through a traffic medium, and dividing it by the amount of revenue generated from the selected medium. Lead value provides you with a reference point when looking at your CPA/CPL. With the data above, you now know if your CPL hits $16.50 or more in any of your Facebook campaigns, your campaign is not profitable and needs to be tweaked or stopped. Best for: estimating the ROI of lead generation campaigns. When you enter the realm of online marketing, whether you're doing it yourself or hiring a digital agency to manage your online presence, these marketing terms are imperative to help understand how and where to allocate your budget. Do you know your business's CPA, CPL, frequency and lead value per advertising medium?